Last Monday, my sister was going to Phor Tay High School for making registration. After complete the registration we went to the nearby house business stall for having our breakfast/lunch. 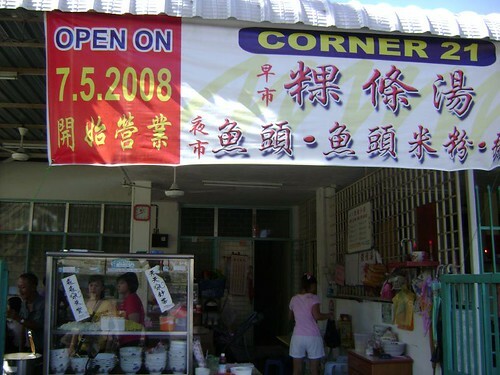 When you travel along Jalan Nipah(behind the Silver Jubilee old folks home), you will see a stall called Corner 21 which selling Kuey Teow T'ng in the residence houses. There was the place where I went! This the front view of the stall. Can you imagine that where is it? If you can't, you might be dropped by Taman Lip Sin and ask people for direction. I ensure that they will know the location and bring you there! 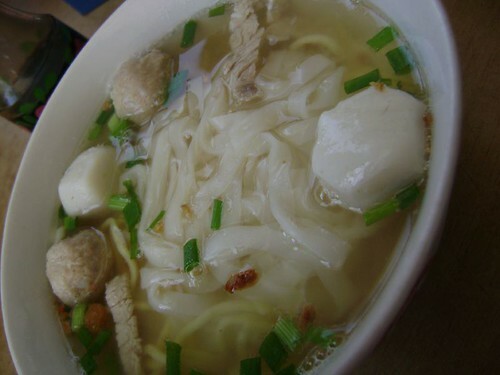 This bowl of Kuey Teow Soup cost RM2.00 if not mistaken. I think the price is comfortable and cheap as nowadays everything is hiking up the price! 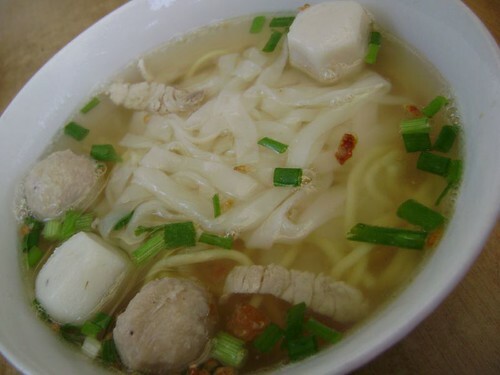 The cooker also put a lot of the ingredients inside and the soup that we have seems so sweet in taste. No need to put the soya sauce also can eat ready. Not so salty and not tasteless too! I rated for this stall 8/10, what's your rating anyway?